Become one of the world’s most productive people. Productivity Coaching designed to help you find clarity, design a plan, and achieve your goals. What would your life be like if you felt like you had an abundance of time each day? What if you replaced feeling confusion with clarity? What if you felt a sense of purpose every day? I've experienced times in my life when I felt very unproductive. During those not-so-productive stretches, I felt frustrated. It was disheartening to feel like I should be making so much more progress than I actually was. I felt like a hamster in a wheel. Feeling unfocused and unproductive was a terrible way to go through each day. I transformed my level of productivity, and you can do the same. Having a clear vision and plan has ensured I have plenty of time to do what's most important to me. How could it transform your life? What is productivity coaching and how does it help? Clarify where you should focus your time and energy each day. Replace feeling confusion with clarity. Ensure you feel in control of your time. Adopt the habits of your best self. Track progress towards your goals. Find more time to do the things you want to do. Shift your mind from feeling time scarcity to time abundant. Who is Productivity Coaching for? You’re a good match for my Productivity Coaching if you can see yourself in most of the items below. Your ambitious and seek ways to improve. You see the value in having someone supporting your effort and excited for your success. You’re willing to share feedback about your successes and struggles. You feel like you should be making more progress than you do each day. You’re open minded and enjoy learning new ways to do things. You want to make progress on projects that are important to you. You want to cultivate the habits that lead to the success you envision for yourself. You enjoy positive and supportive relationships. You need more positive energy in your life. You want to feel less guilt during your leisure time. You appreciate both planning and spontaneity. You’re excited to invite and results into your life. You feel like having someone in your corner would be helpful. How long does it take to see results and how long does coaching last? You should start to see results immediately. The typical coaching engagement lasts 90 days, however many clients decide to continue to work together much longer than that. People who struggle with procrastination or lack of focus. People who want help taking more action. People who are looking for accountability and support towards their goal. People who are trying to develop new habits. People who are looking for inspiration and motivation to reach their potential. People who are purpose-driven and want to make a big dent in the universe with their contribution. People who are growth-oriented, ambitious and want to achieve even bigger goals. People who want to feel more present during their leisure time when they are with family and friends. People who feel like they should be contributing more to the world. People who are looking to grow their business or get a raise at work. People who are eager to make a large contribution at work. People who are trying to develop or grow their side-hustle. People who are trying to leave their 9-5 for work they enjoy doing. People who want someone outside of family, friends and colleagues to collaborate with. My clients are from all over the world including the United States, Canada, Hong Kong, Spain, Japan, Mexico, Australia and France. I coach using a coaching app and through phone calls (US based) and Skype (non US based). I do not offer face-to-face coaching. How much does your Productivity Coaching cost? Coaching packages start at $15 a week and increase from there. I’m currently offering a $99/month productivity coaching package, which includes daily digital coaching and two 30-minute coaching sessions each month. This price will increase soon, so if you’re interested schedule your free 15-Minute coaching session with me. What do you receive with Productivity Coaching work? What’s the typical client experience like? Here are the various stages of the coaching experience from the client perspective. Use promo code: MATTEASTWEEK to start your free week on Coach.me. Or schedule a complimentary 15-minute coaching session with me to help identify if I would be a good fit for you. What do we discuss during the complimentary 15-minute coaching session? We discuss your goals and why you are interested in coaching. Although it sounds intimidating, most people really enjoy the free session. Can I try coaching for free? Yes, you can try digital coaching for free for one-week. Occasionally, I am not accepting new clients, if that is the case, you can use the promo code MATTEASTWEEK to receive a free week of coaching from any coach on coach.me app. Who is productivity coaching not for? My coaching is not designed to fix behavioral problems. Blamers, victims, and individuals with iron-clad belief systems will struggle to find my coaching effective. Is the free 15-minute coaching session required? No. However, I strongly encourage it because it’s a great opportunity to ensure we have good chemistry, The right coaching match is absolutely key to the success of a coaching experience. Without good chemistry, the trust required for optimal performance may not develop. What’s the minimum time I should plan to work with you as a coach? Although, you will begin to see results immediately. I would suggest not to begin coaching if you can not commit 90 days to the coaching experience. Do you have experience coaching people like me? Everyone I coach is very unique. I’ve likely coached clients with a similar background, vocation and experiences as yours but every person is unique and responds differently to coaching. Do you have a coaching methodology? Yes. If you would like to learn more about my coaching methodology and how we would apply it to your coaching experience, please schedule a free 15-minute coaching session. Your copy of The Goal Achievement Playbook will be available immediately, but I’ll also email you a copy. Yup, I'll take a copy. 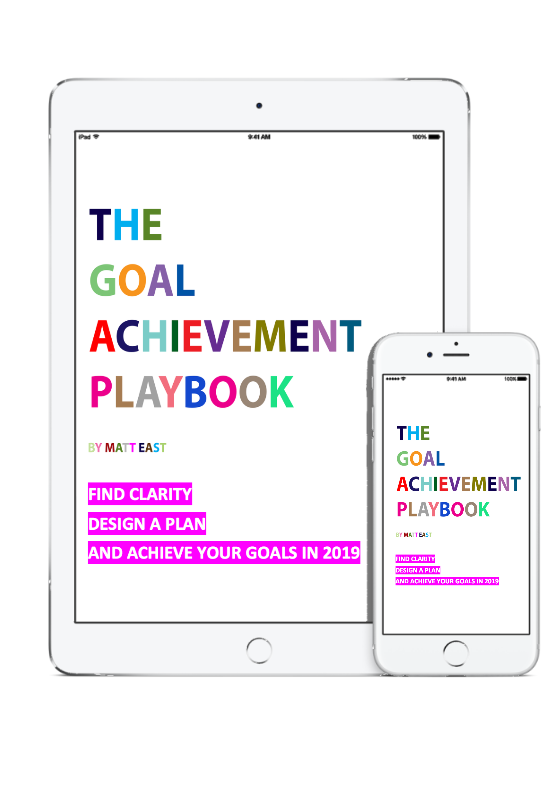 Click here to instantly download The Goal Achievement Playbook.